As the Polish Press Agency reports, Stanisław Karczewski, the Marshal of the Senate of the Republic of Poland, promised that in 2016 the Senate would be more active. Karczewski assured that even though it is the Sejm that passes bills, the Senate is also useful. The Marshal also expressed hope that in this tenure there would be less political disputes and more consultation and reflection in the Senate. Broader consultation with citizens is planned as well, so that the Senate is more active and submits its legislative proposals. Karczewski added that he also wanted to speak more about what the senators were engaged in outside the Senate, so, for example, that they take care of affairs of Poles who live abroad. Stanisław Karczewski mentioned a challenge for the Senate in 2016, that is cooperation with the Sejm on the introduction of three bills concerning Poles living abroad. 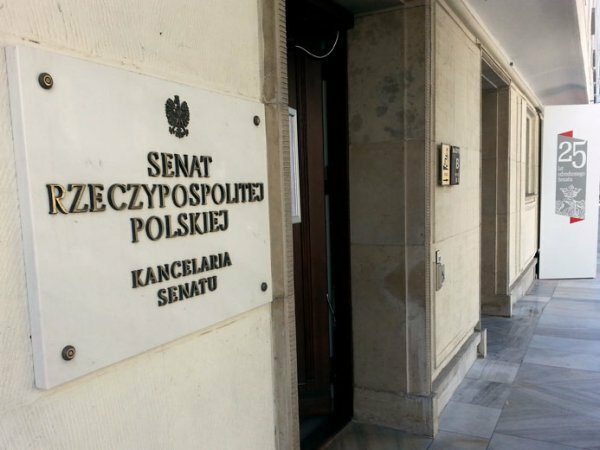 The first one is the bill that would make the Senate take over the care of the Polish diaspora which has been taken by the Ministry of Foreign Affairs so far, the second one is an amendment of the bill on “Karta Polaka” [trans. Polish Charter – a document that proves belonging to the Polish nation; translator’s note] and its project was prepared by the Contacts with Poles Abroad Committee that functions as part of the Sejm, and the last one is the bill on repatriation that is supposed to be created in the Senate.